Welcome to the Bonanza Blog! Find all the latest news about our online marketplace, with information about getting the most out of selling online and effectively managing your online shop. This blog is part of our Bonanza Partners program. Bonanza did not pay for this app to be created, and does not make any money from the purchase of this app. This guest blog was written by a representative from CedCommerce. Many online sellers aim to diversify their businesses by listing their products on multiple sites that are popular among their targeted audiences. However, listing on several platforms has some downsides, like managing inventory and orders. This is where multi-channel sales apps come into the picture. These apps make inventory and order management hassle-free. CedCommerce has designed a Bonanza Marketplace integration app that makes it easy to transfer your Shopify listings to Bonanza. We asked their team to share some of the highlights of this app – here’s what they said. One of the greatest struggles of a multi-channel strategy is listing your items on every platform. With this app, you can upload your Shopify listings directly to Bonanza. This guest blog was written by a representative from Samuel Shapiro & Company, Inc. Although some things are unavoidable, there are ways to anticipate these proverbial “Road Work Ahead” signs and make changes before they slow down your momentum. Check out these tips from the international shipping experts at Shapiro. If you aren’t tracking how your team is performing at each step in the process, you are missing out on important data. There are multiple factors (congestion, weather, holidays, provider quality, and so on) that determine how cargo moves. If you aren’t closely monitoring each link in your supply chain and reviewing your data, you won’t know who is responsible for the issue. Good day! Back in June, we ran a contest as part of our 10th Anniversary. The lucky winner was At Peace Memorials (formerly AdamsUrns). We caught up with Adam to see how things are going, and to learn more about his story as an online seller. How did At Peace Memorials get its start? About 15 years ago, we had a passing in our family. When we met with the funeral home to discuss urns for cremation, the variety they offered was very limited and the prices were astronomical. I had a hard time finding something that really spoke to us and really defined who our loved one was. I thought to myself, "there has to be more out there,"" there has to be a better way to shop for urns. When I went online, I found a couple of sites, but still, the variety and pricing didn’t meet our expectations. I decided to make it my mission to help others find the perfect memorial product for their loved one, something that would really stand out and represent the interests and personality of the person they wish to memorialize. Can you tell me more about your charity mission? Hello, Bonanzlers! It's nice to see you. After Punxsutawney Phil predicted an early spring, we hit the ground running in 2019. To that end, I’m happy to announce that we’re starting a new quarterly blog series called The Bonanza Bulletin. These posts will provide an overview of site updates and changes over the past few months. We’ll also include a sneak preview of what’s to come in the months ahead. Without further ado, here’s a recap of how our first quarter of 2019 went. As many of you might remember, we release a survey to our sellers at the end of each year. This feedback helps us identify and solve problems that Bonanza sellers face every day. We use this information to create a roadmap and plan our projects for the upcoming year. We are working on adding some seasonal marketing opportunities by identifying top-selling categories during key times of year and using that data to drive buyers to the site. Good day, Bonanzlers! Today, we’d like to discuss an important topic for online sellers: copyright infringement. What is a copyright? A copyright is a form of intellectual property law. This means it protects original works of authorship including literary, dramatic, musical, and artistic works. Some examples are books, movies, songs, computer software, and photographs. We trust that everyone on Bonanza is here to make an honest living. However, even the best intentions can go wrong, and people sometimes break the rules, knowingly or unknowingly. For these situations, we have a dedicated Loss / Risk Prevention (LRP) team that enforces copyright rules. Bonanza's LRP Team utilizes several tools to help remove and prevent copyright infringing items. They notify sellers of claims or items that have been removed, as well as work with brand contacts to remove listings reported by brands as infringing on copyrights. In addition to these tools, we have a couple of tools in development right now that will allow our LRP team to proactively remove infringing items in bulk, as well as identify copyright infringement of images used in item listings. Hello, and happy Friday! Over the past few months, our marketing team has been busier than elves at the North Pole. We’ve devoted time, energy, and even money into increasing sales on behalf of our sellers during the busiest shopping season of the year. I’m excited to give you an update on Bonanza’s marketing efforts over the past few months. Our 4th quarter strategy was to focus on sales-driving events, like Halloween, Black Friday, and the myriad of December holidays. Costumes and Halloween accessories sell historically well on Bonanza, since buyers know we're a great place to find everything but the ordinary. With that in mind, wanted to make the most of this opportunity to drive new traffic to our sellers in advance of the major shopping season. This guest blog was written by a representative from 71lbs. While Bonanza sellers are compiling their own holiday shopping lists, they’re also in the middle of the busiest shipping season of the year. This is when extra focus is placed on meeting customer expectations and preventing shipping costs from eroding your bottom line. The latter is often on sellers’ minds, and for good reason. Shipping costs account for a significant amount of business expenses. In fact, a whopping 10% of revenue goes toward shipping for the average business – and Bonanza sellers are no different. UPS rates on U.S. Ground, Air Shipments and International Services will increase an average of 4.9%. FedEx customers will see a 4.9% increase on Freight, Home Delivery, Ground and Express services. These new rates mean sellers are faced with the challenge of whether to absorb the increase or find other ways to address this impact on their business. So, how can you offset the extra expense? It’s a cold and blustery Thanksgiving afternoon. You’ve slipped on your fuzziest pair of socks and donned your comfiest couch potato duds. You hear the soft crackling of a wood-burning fire and the sweet dreams of upcoming holiday splendor fill your mind. Your belly is full of all your favorite Thanksgiving essentials, and muffled sounds of conversation can be heard in the distance. Just as you feel yourself drifting into a nice fireside slumber, a shock wave travels through your brain and your eyes snap open. “Black Friday,” says your brain, and your peaceful mood is interrupted by the thoughts of the weekend shopping craze to come. This guest blog was written by a representative from ShipWorks. One of the most important elements of the busy holiday season is the experience you create for your customers. In the search for gifts, buyers can go anywhere their web browser takes them, so how do you stand out and make sure they choose to shop with you time and time again? Believe it or not, the holiday shipping experience can be just as important as the holiday shopping experience. Creating memorable moments while getting customers their purchases can delight them, keep you top of mind, and help create customer loyalty throughout this holiday season and beyond. Let’s look at a few ways to create holiday shipping cheer! Okay, you're right: this is actually a meme and not a real Bonanza employee. Nonetheless, the holiday spirit is alive and thriving over here. With that in mind, we wanted to get the ball rolling and talk about something that's sure to be on the minds of sellers this holiday season: what products are going to sell? Alas, we can't predict the future – but we can use a tool that is the internet's equivalent of a crystal ball: Google Trends. This tool lets you search for any keyword or search term and see its popularity since 2004. This can be super helpful when researching things like the seasonality and popularity of a specific item. Here are some of today's top trending products. Hello, friends! I can bear-ly contain how excited I am to share today's blog with you. I like to think of this blog as a virtual bear hug sent through the internet (with your permission, of course). Many of our favorite summer traditions are settling into hibernation – goodbye, 9pm sunsets and late-night ice cream runs. But for ecommerce sellers, the busiest time of the year is quickly approaching. If you're not prepared for the holiday rush, it can lead to panda-monium. We want to make sure our sellers end 2018 on a high note, so we'd like to share some information about Bonanza's third-party partners. Cool! Tell me more about these Bonanza partners. Our partnership program was designed as everything on Bonanza is — to support our sellers. Our goal is to make sellers aware of third-party services that can help them grow their ecommerce business. Think of these partners as friendly neighbears in the ecommerce world. Our partners provide endless selling tools like multi-channel inventory management, shipping services, and even branded materials. 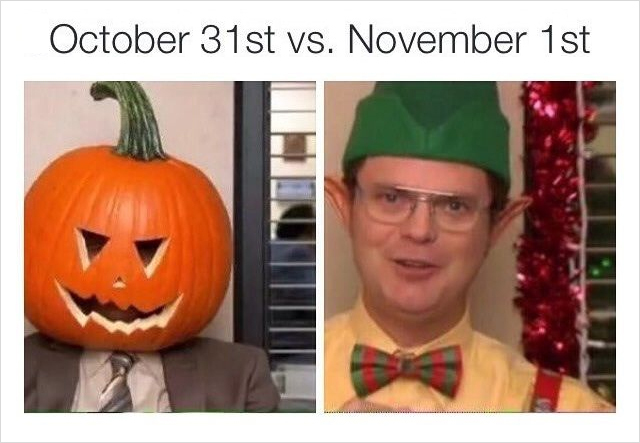 Halloween already?! We can't believe it either, but now is the time to start thinking about ways to make this Halloween season the best one yet. Whether you're looking for a cute kid's costume or want to rock a matching costume with your bestie, Bonanza's got something for everyone. 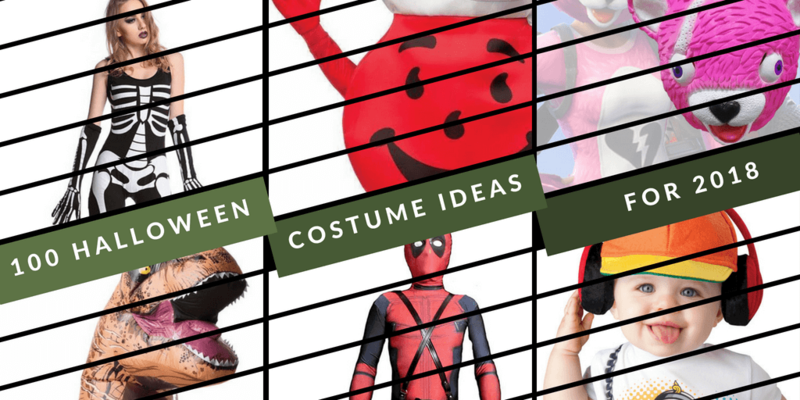 Own your office costume competition and turn heads while trick-or-treating in these costumes. Here are our picks for the 100 Best Halloween costumes for 2018! Sellers: Interested in optimizing your booth for Halloween? Stay tuned for tips and tricks coming soon to the blog! This guest blog was written by a representative from noissue.co. Ecommerce stores have a lot going for them, which is why the ecommerce industry is growing at an astounding rate. Cumulative data from Statista suggests that the online selling industry will top $4.8 trillion by 2021. This is up from $1.3 trillion in 2008, representing a 269% increase in just over a decade. With that kind of success, it’s easy to think that all it takes is creating an account, listing your items, and kicking back while the cash flows in the door. Well, as any experienced ecommerce seller knows, there’s a lot more going on, especially when it comes to maintaining a strong brand presence in an online world. A lot of major retailers have it easier, because at the end of the day a customer can always walk into their local store and exchange an item or talk to someone in person. To maintain an ecommerce brand, however, you need to be a little bit more creative, active, and attentive. Here are our top four ways to improve your brand presentation as an ecommerce seller. Hi everyone. For those of you I haven’t met, my name is Reilly and I’m a product manager at Bonanza. I lurk behind the scenes, researching new features and working closely with our designers and developers. Don’t worry, Grace is fine! She’s passing me the blog baton this week to announce a feature I’m so excited to share with you. Even though we hope that selling on Bonanza provides plenty of joy and fulfillment, we know you’re not with us just for giggles- you’re here to make money. It’s critical for us to ensure a frictionless experience for the most fundamental aspect of online selling: making sales. To that end, we’re thrilled to announce our integration with Stripe, a payments platform that provides smooth solutions for business of all sizes. This guest blog was written by a representative from CrowdContent. The “post it and they shall buy” mindset doesn’t always work in today’s online retail landscape. Sellers need to do more to engage browsers and turn them into buyers. 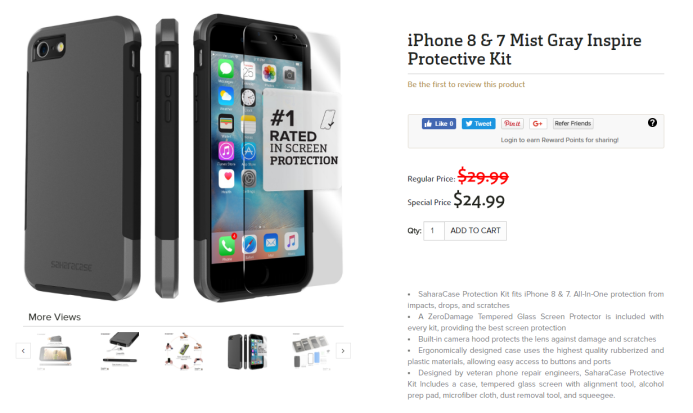 High-quality photos for your products are a given, but well-written product descriptions are equally important. As a leading content writing service, Crowd Content has written over 100,000 product descriptions for large, medium and small retailers. We’ve learned quite a bit along the way on producing descriptions that engage readers and ultimately result in sales. The types of products you sell should be the ultimate driver in how long your product descriptions are. Simple products like phone cases and hair clips might only need 50 words to get the point across, but feature-rich products like electronics and appliances might need descriptions that are 150 words or more. 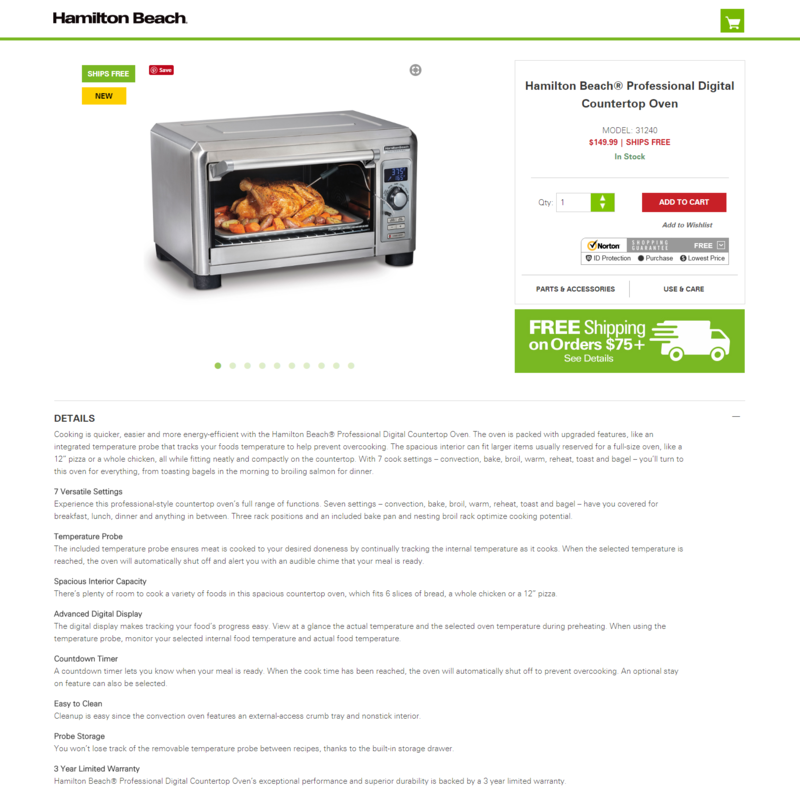 Hamilton Beach has a product description for this digital toaster oven that’s over 350 words. But SaharaCase needed a mere 86 words to talk about this phone case.